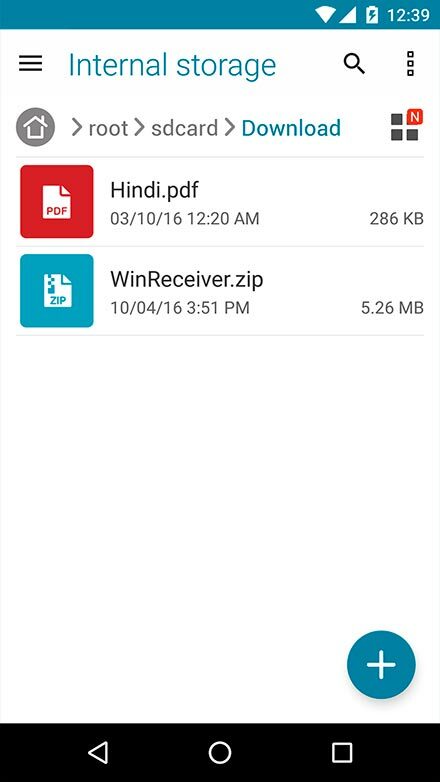 1.You can save documents from the web to your phone. 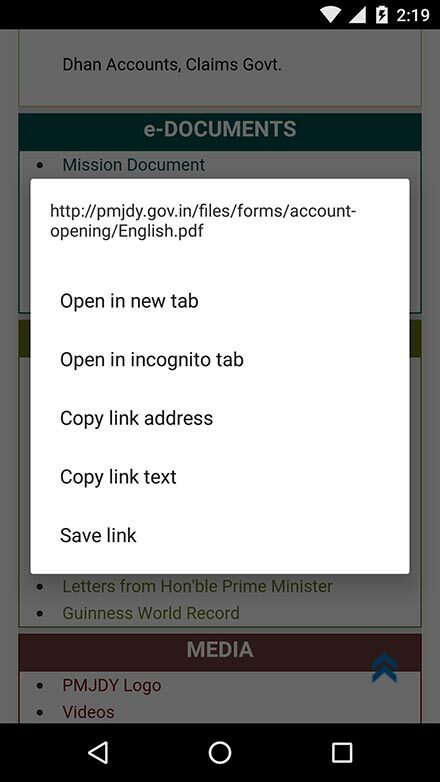 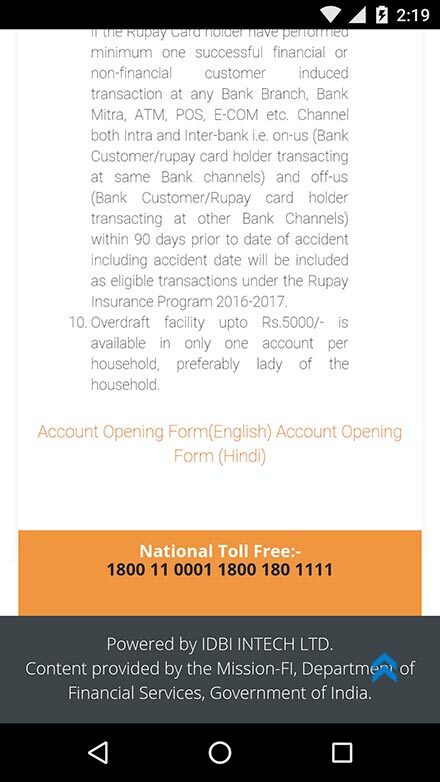 For example, if you are on the Pradhan Mantri Dhan Jan Yojana website and you want to download the account opening form, first long press the link. 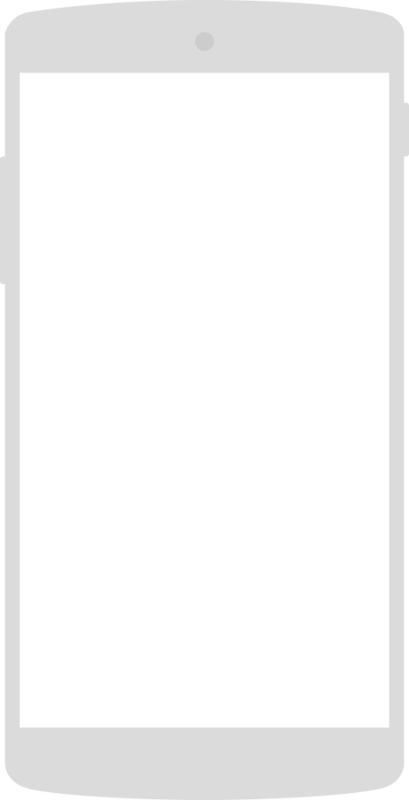 2.Then tap 'Save link' from the menu that opens. 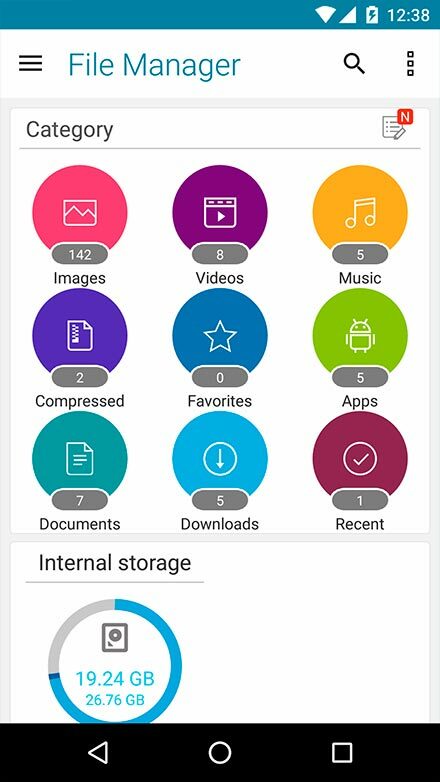 3.To view these documents later, tap 'File Manager' from the Menu. 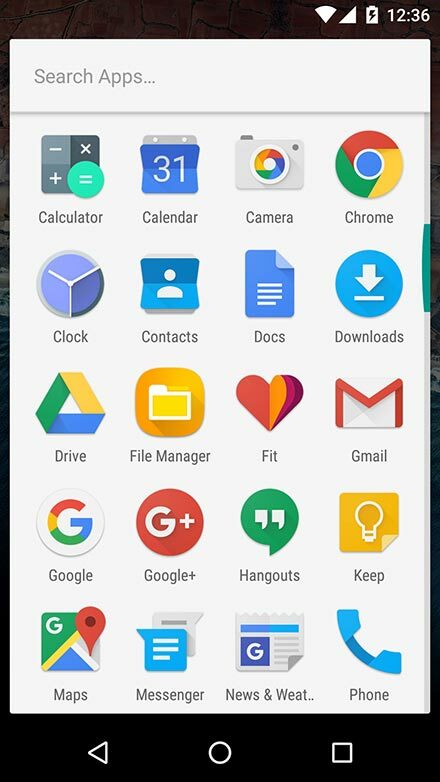 5.Finally, tap on the document you wish to open.